Red Clay School District said the incident was egregious. Several policies - both on the school bus and at Linden Hill Elementary School - were not followed, putting Ibn in harm's way. "It's unacceptable," district spokeswoman Pati Nash said. "It never should have happened." "Again, the driver failed to check the bus to see that all children had gotten off," Nash said. Nash referenced a large sign hanging at the entrance of the bus yard that reads: "Have you checked your bus for students?" "There are multiple points that that child should have been discovered," Nash said. 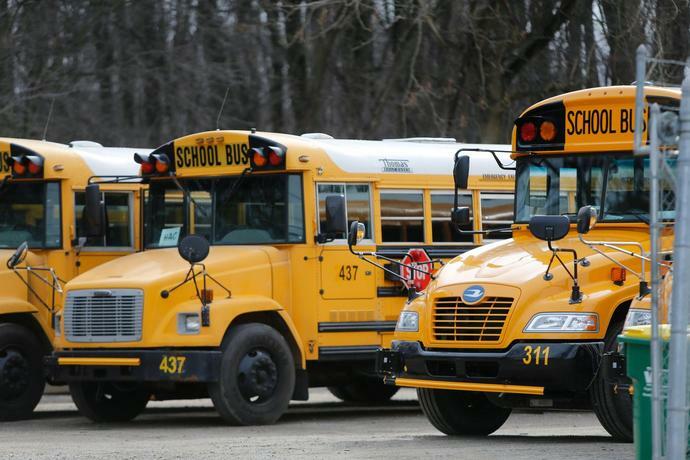 "In our bus driver handbook, it's grounds for immediate termination to leave a child on a bus," Nash said. "The driver is not ours, but we can and we did request that driver no longer drive for Red Clay." Nash said roughly half of Red Clay's school buses have child reminder systems - an alarm that makes drivers intentionally walk to the back of the bus to check for students and disarm the system - including the one Ibn was riding. "With the multiple driver checks, there is no current procedure to check the buses when they're in the yard," Nash said. "But that may change." "Why was I never called and texted that my child wasn't at school yesterday?" Ivana Polk wanted to know. "This is not just record keeping," Nash said about taking attendance in the morning. "We have procedures in place for critical reasons." "We review safety procedures any time we let down one of our families, which we did here," she said. She said during training, all bus drivers are shown a video of a longtime driver leaving a child on a bus. All drivers employed by the district - and its contractors - will watch it again next week. "They'll be strongly reminded why they have these safety procedures in place," Nash said. "Fortunately, it's a very rare occurrence. But one time is one time too many." "I know that the bus driver was just careless," Ivana Polk said. "That's a fact."